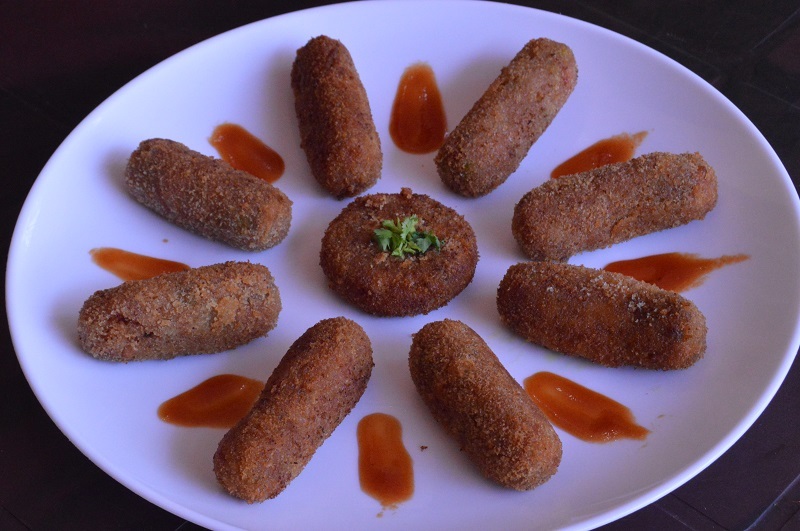 If you are checking for a homemade vegetable snack, I prefer you to try this simple vegetable cutlet. 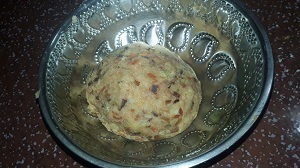 This cutlet is the combination of vegetables and spices. We can use it as an appetizer or a tea time snack. 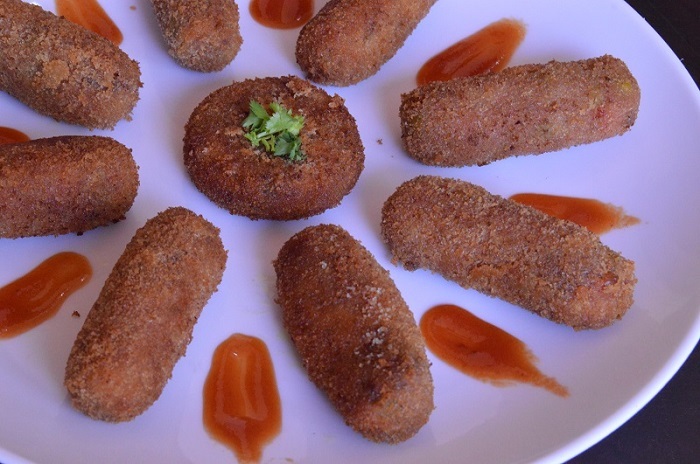 Serve these vegetable cutlets with tomato ketchup. 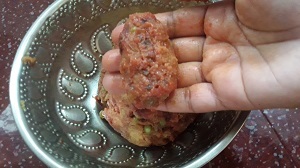 Lets see the making of vegetable cutlet is bellow with detailed images. 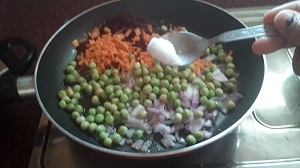 Heat oil in a pan, add chopped ginger, chopped onion, green peas,finely chopped carrot, beetroot and salt. saute it for 2 minutes, close with a lid and cook it for 5 minutes. Add very little water. Once its cooked, add turmeric powder, garam masala powder in it. saute it well and keep it aside to cool. Take little part from the dough and make the shape of cutlet that you like. Then dip it in the milk and roll it with bread crumbs. Repeat the same with all the dough in the same way. Heat oil in a pan and gently drop the cutlets in it. Keep the flame in high to medium and cook till the cutlet turns golden brown in color. 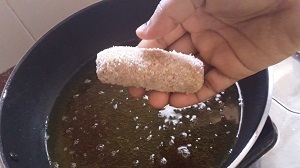 Remove the cutlets in to a paper towel to drain the oil.